As of Thursday, no charges had been filed in the shooting death of Matthew Leach, 37, which occurred last weekend in Room 6 at Clark’s Beach Motel in Old Forge. The State Police are still conducting their investigation, which includes additional examination of evidence and the results of an autopsy that was performed earlier in the week, according to Herkimer County acting District Attorney Jeffery Carpenter. Carpenter’s office has been coordinating with law enforcement from the start and he was in Old Forge Wednesday for a walk-through of the scene, according to Town of Webb Police Chief John Russell. This entry was posted in admin and tagged Jay Lawson on July 26, 2012 by Jay Lawson. The 3rd Annual Kinderwood Golf Classic at Thendara Golf Club is scheduled to take place on Monday, August 6 at 1 p.m. with a dinner beginning at 5 p.m.
As the largest fundraiser for the Kinderwood Preschool Program, this shotgun start golf tournament, dinner, and auction is open to the public and guests may choose to participate in all of the activities, or just come for the dinner and auction if they can’t make the golf outing. This entry was posted in admin and tagged Dana Armington on July 26, 2012 by Dana Armington. Economic scenarios: What does the Adirondacks’ future look like? The Common Ground Alliance Forum, an annual meeting meant to stimulate conversation and action about the future of the Adirondacks, held its biggest forum yet on Wednesday, July 18th in Long Lake, with roughly 230 people attending from across the Adirondack Park. This impressive number is an indicator of the common interest that exists throughout the Park in improving our economies and communities in the coming years. The theme of this year’s meeting, ‘Momentum,’ was highlighted by a project conducted voluntarily over the past year by Jim Herman and Dave Mason, two retired strategy consultants living in Keene. Over a year ago, they decided to use their talents in Scenario Development to help get the Adirondacks on the right track for the next 25 years (and hopefully, beyond). They created a project in which six ‘endstates,’ or scenarios, were devised to show what the Park could look like in 2037. Meetings were held across the Park. The endstates were talked about in places as close to home as View and as far away as New York City, to include seasonal residents. Surveys were taken and discussions were initiated. This entry was posted in admin on July 26, 2012 by admin. 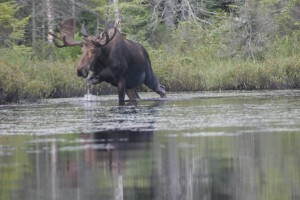 that have been active this week in the nearby Adirondacks… outdoor columnist Gary Lee photographed this moose as it slogged around in Helldiver Pond. You can read Gary’s report in this week’s edition of The Weekly Adirondack. This entry was posted in admin on July 26, 2012 by Dana Armington. 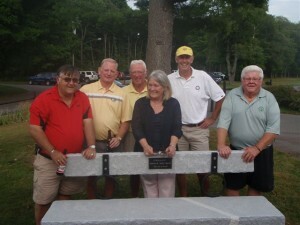 A sincere and heartfelt thank you to those members of Thendara Golf Club who so generously purchased and dedicated the beautiful granite bench and the engraved memorial plaque in honor of my late husband, Bill Martin. Many of Bill’s happiest days were spent at the golf course among wonderful friends; thus, this lasting gift will remain a cherished remembrance of Bill that my family and I deeply appreciate. We’ve been so fortunate to have these kind and thoughtful people touch our lives. 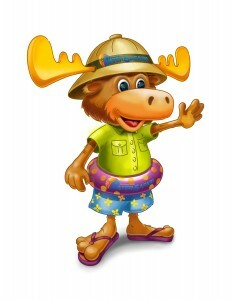 A new moose mascot named ‘Safari Sam’ will make his Adirondacks debut on Sunday, July 29 at Enchanted Forest Water Safari beginning with a special unveiling event and press conference at 11 a.m.
Safari Sam first came to life in 2011 as part of a contest to create a new mascot. According to the park’s Vice President and Director of Marketing Katie Wojdyla, the water park has been looking for a new mascot for several years, but it was not until 2011 that Nick, a Water Safari summer intern, came up with the idea for the contest. 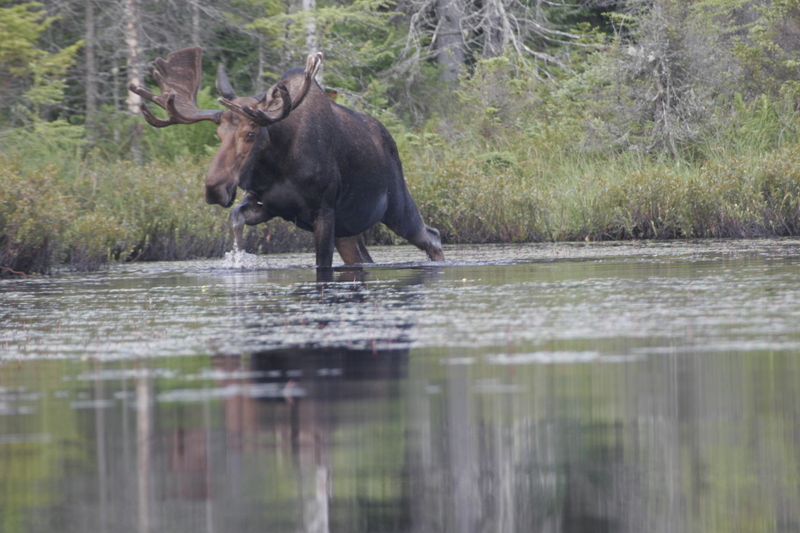 The park received numerous entries, many of which included other Adirondack favorites such as bears, otters, and a variety of birds. Fan feedback from the Enchanted Forest Water Safari Facebook page helped the park select The Thayer Family of Boonville as the winners with their concept of the safari-themed moose named Safari Sam. 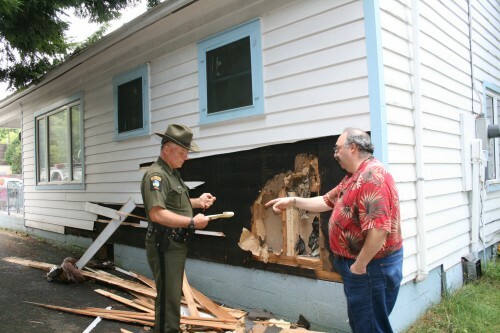 Larry Starer, owner of The Candy Cottage in Old Forge was surprised on Tuesday morning, July 24 with a call from a neighboring business informing him that a bear had ripped off siding from his building. The bear was apparently trying to get inside but had somehow gotten scared off. After Starer reported the incident, Department of Conservation Police Officer Russell Ritzel, arrived on the scene to investigate. “He smelled the fragrance of the candy inside and he ripped off the siding and almost made entry. You can see the claw marks,’ said Ritzel, pointing out the deep scratches to Starer. After Ritzel checked out the basement, he determined that the bear had made entry through the opening but presumably backed out because of the smell of the fuel tanks inside, which killed the aroma of the popcorn and sweets. 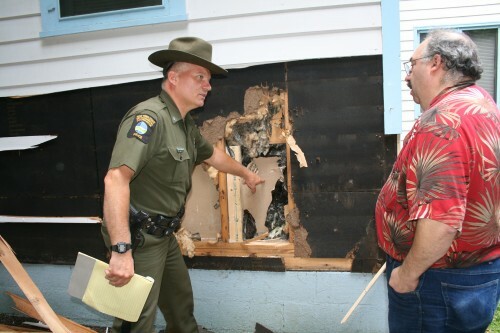 “Then he decided he was going to try going in through the wall,” he said. “This (activity) is what I’m trying to prevent. With our dry conditions, we have the bears coming in town looking for food because there’s no food in the woods. The Bears are opportunist. People are throwing them ice cream and marshmallows and just creating problems like this. It’s a people problem,” he added. Ritzel wants to remind the public to secure their garbage, secure their dumpsters, lock their car doors, do not leave food inside their cars, and do not leave screens open, to discourage bears from coming into town. This entry was posted in admin on July 26, 2012 by Carol Hansen.